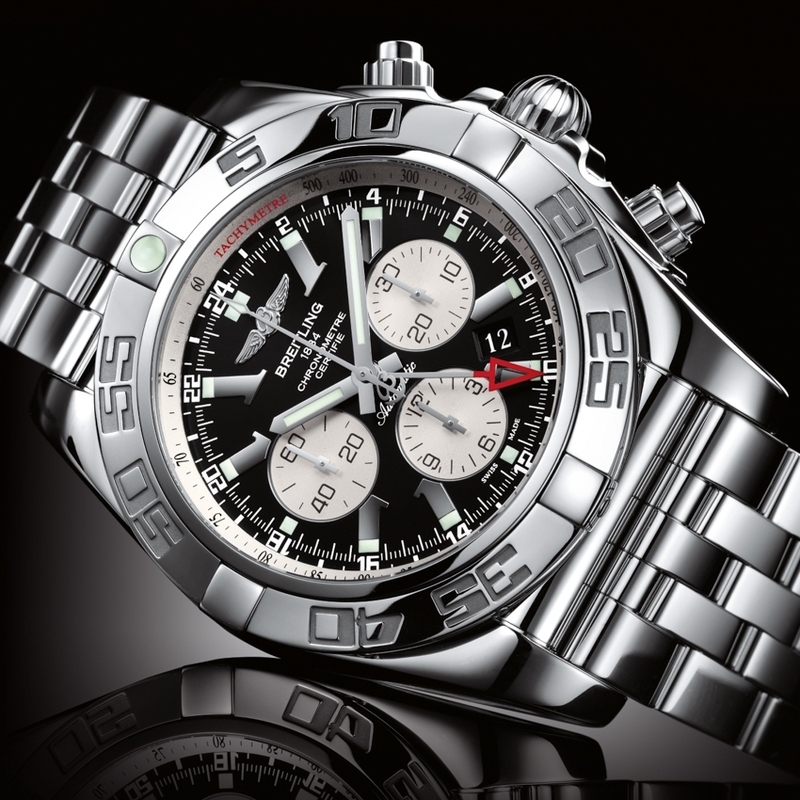 The Chronomat GMT from Breitling grants every traveller's wish: to know in an instant the time and date of his place of arrival as well as the time at home, over a 24-hour period and to the exact minute. 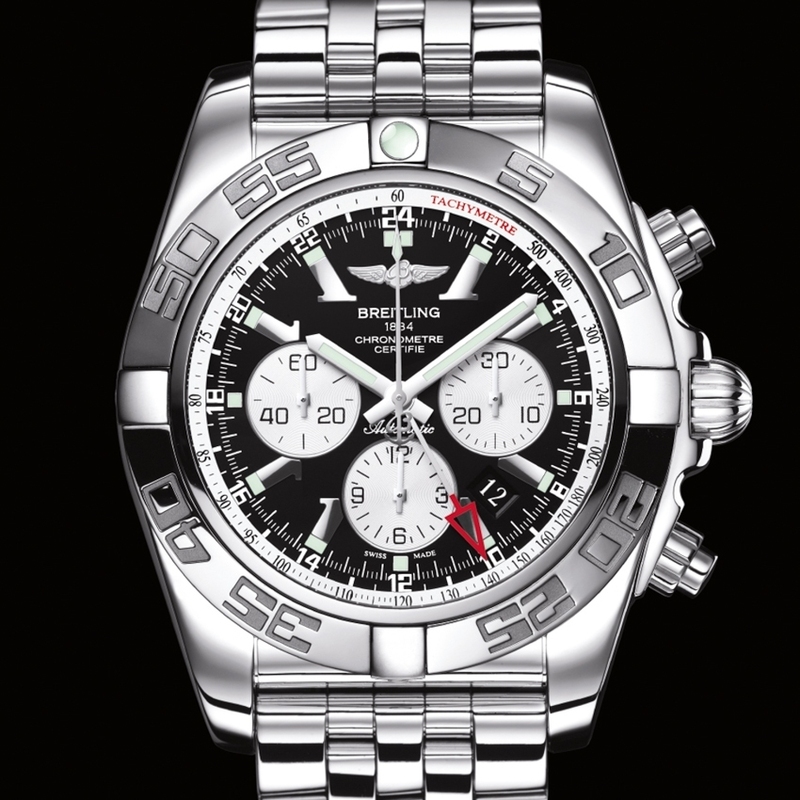 Equipped with Breitling's new in-house 04 movement, this travellers' instrument has two perfectly synchronised central hour hands. The first, which is associated with the minute hand, moves over a 12-hour dial. The second, with its red triangular tip, moves around a 24-hour scale. Boasting an exclusive design and a dial with subtle three-dimensional effects, the Chronomat GMT will be the new benchmark for all those who want top performance, no matter where they are in the world. And never has a watch been so easy to use!